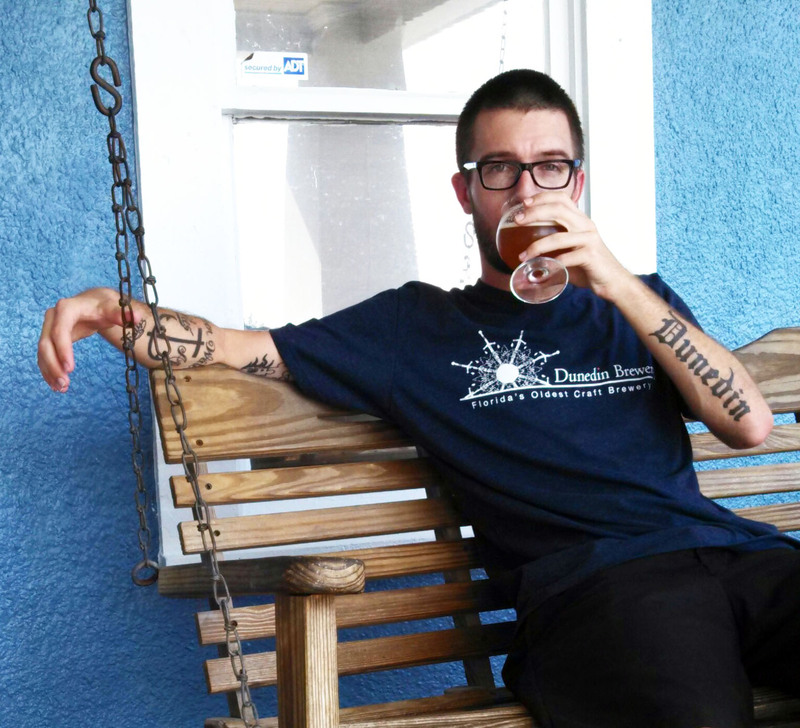 To celebrate 17 years of Florida craft beer history, we sat down with our general and promotional manager Michael Lyn a few weeks before our anniversary party to find out, where in the hell is Florida craft beer going? has become a home for great craft beer. What do you think accounts for this change? MLB: Team-work. Breweries in Florida have collectively worked together to build the State as a proper beer destination. Our sense of community has tied us together and made us stronger. Also, Florida’s diversity of visitors gives us a higher standard and brewers in Florida have to strive for that standard. We have to create products that are as good, if not better, than the great breweries back home for travelers and seasonal Floridians. There are also more distributors entering the market, bringing in more variety from outside of the State. So, we also gain more options on how our products can be handled. Stores like World of Beer also provided a platform for those options. We’ve also striven to bring together that unique Florida culture ranging from Key West and Miami to Tallahassee and Micanopy. The phrase "Drink Local" captures these differences by highlighting Florida’s commitment to its diverse communities and traditions. Each of our cities has its own unique style and feel. The phrase became a standard for locals & visiting tourists alike. 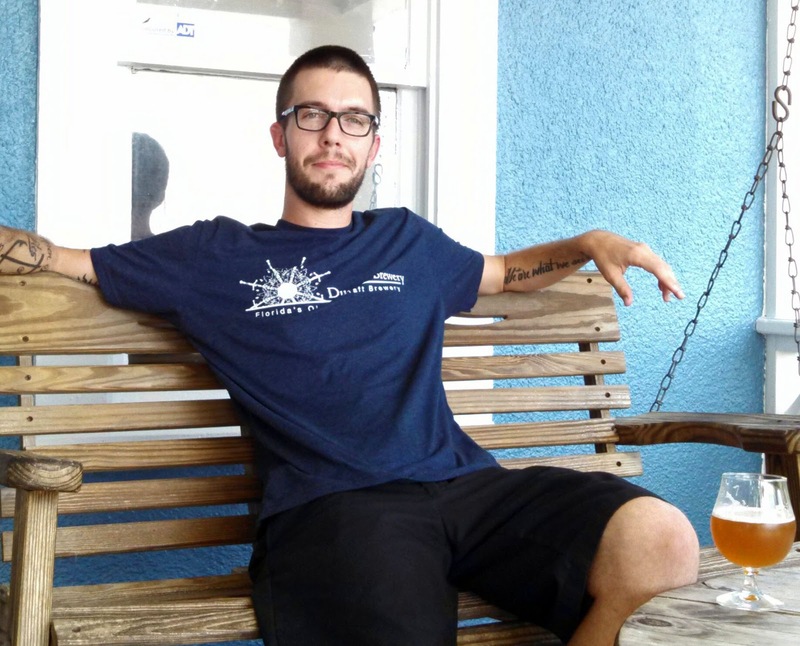 Q: What do you think of the "explosion" of Florida craft beer? MLB: I think it's great. The culture is full of experimentation & exploration. The customers are real adventurists, hunting and searching. The "explosion" of craft beers throughout the Country has kept fuel on the fire, not allowing the culture to get bored and stagnant. It's kept us entertained and thirsty for more. Q: Does Tampa Bay’s knack for going against style factor into the explosive growth? MLB: Definitely. Many of the breweries in Tampa Bay are constantly breaking style in favor of capturing new or different flavors. This is also a reaction to the explosive growth, as the brewers have to constantly create new products to keep the drinkers entertained. This is where the exploration comes back in and the type of consumer we have in Florida loves tradition but also exploration. Don’t be afraid to take us further; to give us more, that’s what I hear constantly from all our customers, even those new to craft beer. Q: So even with Tampa Bay’s desire for exploration, what is Florida's beer style as a distinctive state? MLB: Sometimes you’ll hear that it’s the "Florida Weisse", a fruited variation of the berlinerweisse. But because only a fraction of the breweries actually brew this product, I prefer a broader definition. Florida's style is defined by fruit-forward beers, usually subtropical. We've brewed with fruit since 1997 when it was almost blasphemous to add anything other than basic ingredients. Now it is normal to taste fruit flavors in beer, whether added by actual fruit or by utilizing hops to achieve the flavor. This broad style has provided the guideposts for our explorations here in Dunedin. Q: So switching gears somewhat, the Dunedin Brewery has also brought a lot of great music to Florida recently. What makes quality beer and good music go together? MLB: All the possibilities with beer mimics music. Two players can play the same song, but they will be distinctively unique. The same is true for brewers both brewing an IPA or a porter, for example. On top of that, the spirit of music breaks your perspective and forces you into a new one. It reminds me of how an experience can be changed through hearing different songs, kind of like a filter on life. Beer is also a filter for the drinker to experience life through. It’s hard to capture the feeling though. I’ve personally always been captivated by the dance of beer in a glass and how it mimics our dance to music. Both are intoxicating. Both are Dionysian. Better yet, both remind us of our individuality but also how we belong to something bigger and larger than ourselves. Q: How do those feelings factor in to your decision to brew beer in Florida? MLB: Without question, I want to raise the demand for creativity--with our beer, with our live music venue, but also in general. For too long, Florida has lacked much with the Arts. Beer in Florida has become a major craft and art destination for both professional brewers and the layperson, be it homebrewers or general drinkers. To not encourage these things would be a disservice to our community. So here I am. Q: What is the most important thing the average Florida drinker should know about beer in Florida? MLB: As odd as it sounds, quality control. It goes without saying that Florida is sunny & warm. These are the bane of beer, damaging the flavor & aroma. Not enough people are aware that beer should be maintained at 70 degrees or below and out of direct sunlight until it hits your lips. There’s far too much beer on the shelves that’s sat around in the heat and sun out back of the store or at the point of production. We have strict standards at Dunedin Brewery--both when brewing but also regarding the deliver of our products to your favorite tap house. Q: Well, thank you for sitting down with us, Michael Lyn. Any final thoughts to wrap this up? MLB: Cheers & good vibes! We are headed down to the Tampa / Sarasota area this weekend. In addition to our normal stop at Dunedin, what other breweries would you suggest for a tasting room visit!